Congratulations! If you’re reading this post it’s likely you’ve either bought or are very close to buying your own home. What great news! Here at Van Man York, we help with York removals every day of the week, assisting people as they start their new life in new family homes. 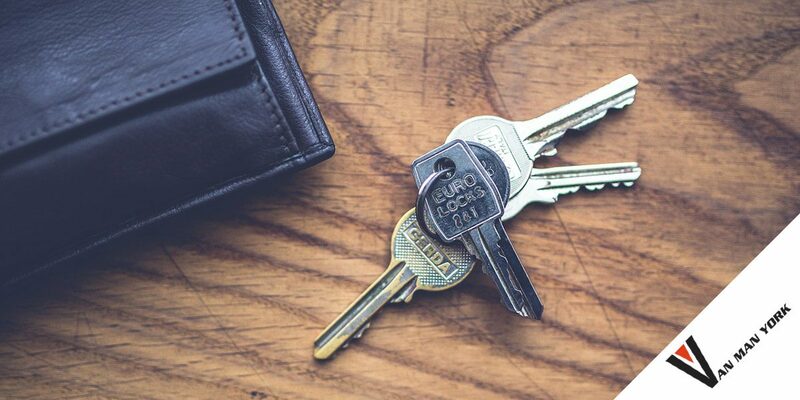 With all this experience, we’ve picked up a few hints and tips along the way – so here are our top five things to check or do when you move into your new property. Once you’ve moved all your belongings into the property, change the locks. You don’t know who still has keys to your front door, garage or back door, and it’s always better to be safe than sorry. Getting the locks changed offers real peace of mind and makes the place feel more like yours. Figure out where the electricity and water meters are in your home and take a note of the reading straight away to send to your utility providers. This is a very common recommendation for anyone moving into a new property, and it should always be one of the first tasks you complete – even before you sit down for a cuppa! If you’ve used a York removal service, make sure to check through all your belongings and make sure nothings been a) forgotten, or b) damaged. Check out our recent blog on what to do if your movers damage some of your possessions for more information. Head next door and introduce yourself to the neighbours – they might be super-friendly, or they might not, but at least you’ve taken the initiative to go and break the ice with them. Tell them a bit about yourself and your family, and ask about theirs – it’ll create some goodwill for the next time you run out of sugar or milk and need to pop round! If your new home has been on the market for a while, it’s likely the inside of the cupboards and most of the surfaces have accumulated some dust and dirt. Before you start unpacking, conduct a deep clean of the house – clean the carpets if necessary, and make sure the kitchen and bathroom are both sparkling before you unload your possessions. If you’re planning a big move, the team here at Van Man York can help take at least one load off your mind. Our York man and van service can have you all moved in quickly and efficiently – without breaking the bank (or any of your possessions! ).